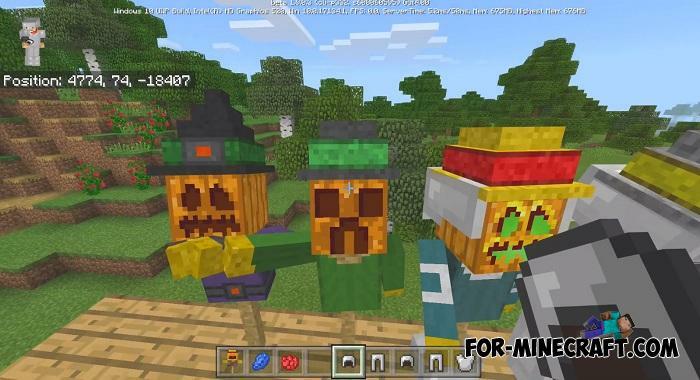 Learn to remotely scare away all evil creatures in Minecraft PE without resorting to force. 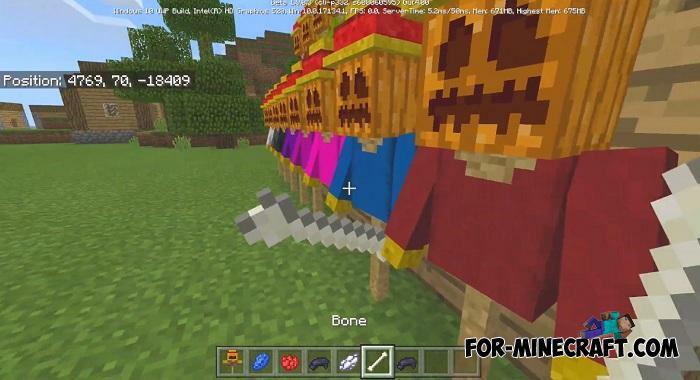 This is easy to do using the Scarecrows Addon which adds armor stands turned into real scarecrows. 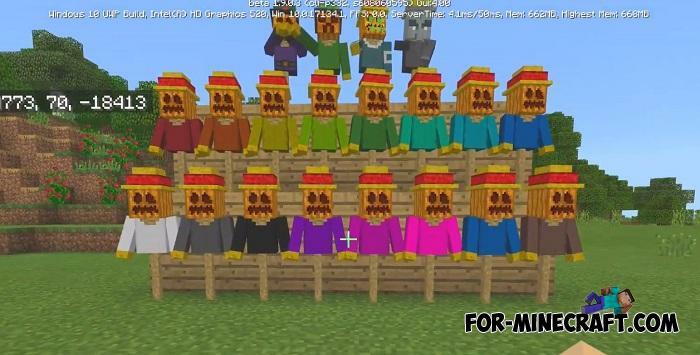 In agriculture in the fields they drive away birds so that they do not peck the grain and harvest, but in your case the scarecrows will scare off almost all aggressive and dangerous mobs living near your house. Each of the list above scares certain creatures listed in the title. 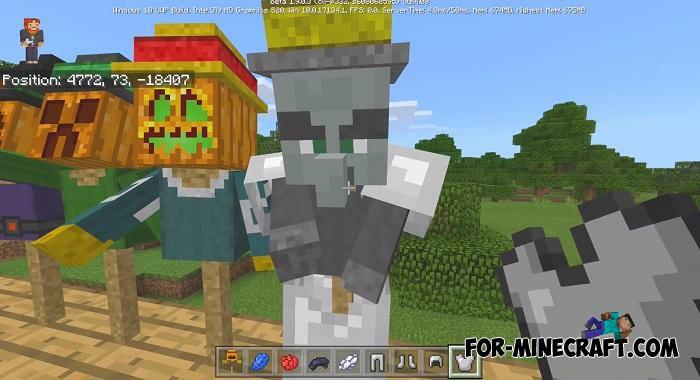 For example, a scaretom can only scare phantoms like cats, so in cases where phantoms have let themselves go and constantly attacking you and your home, you have an easy way to keep them away usin this scarecrow. 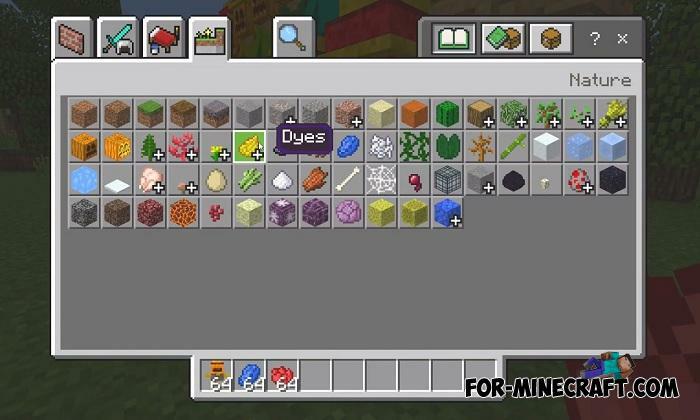 Take any of the dyes and tap on the scarecrow to change its color. 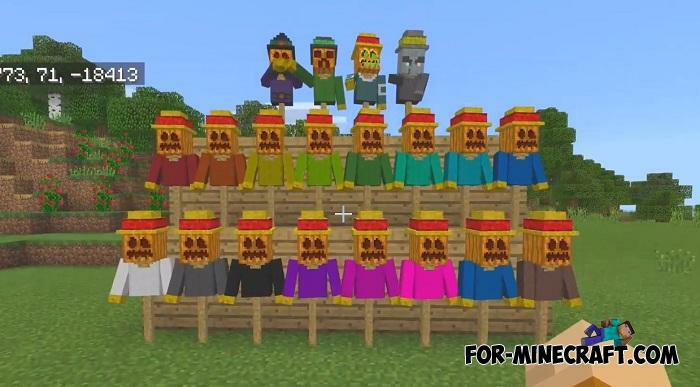 So you can customize your scarecrow a little. 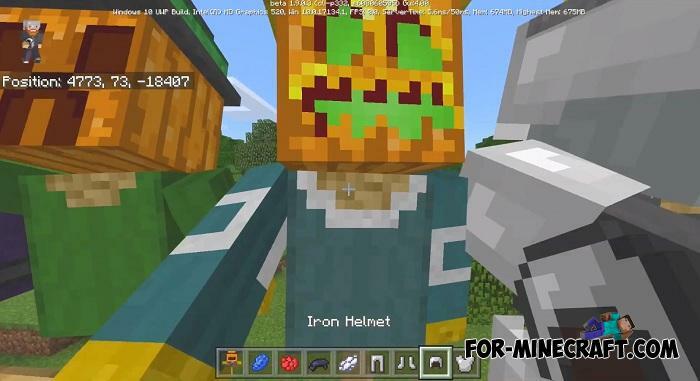 It is also possible to put armor on scarecrows, including helmets, breastplates and other armor. 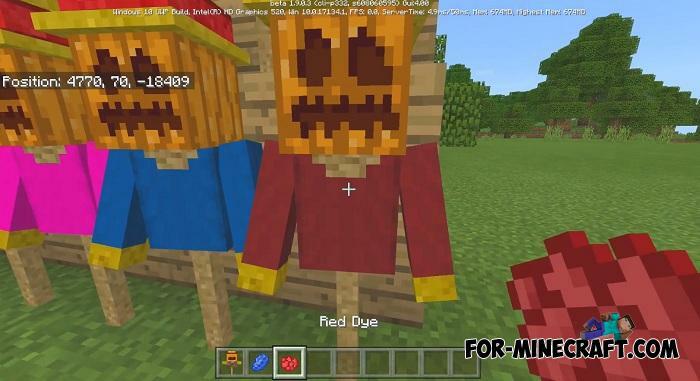 How to install the Scarecrows Addon?